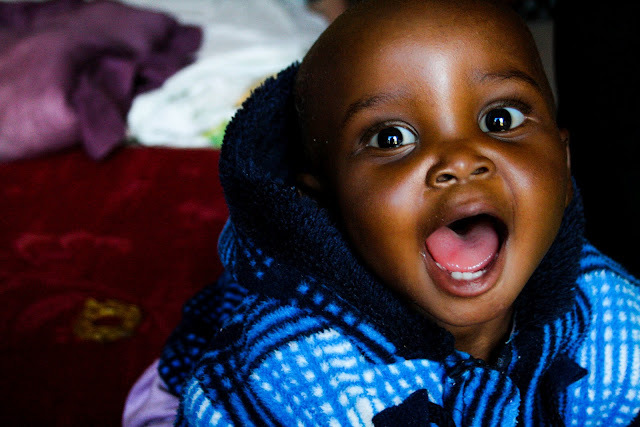 Ideally, TTL aims to have children in the safe-home for an average of 3-months, hoping this is enough time for them to recover and return to their families. Obviously some children face challenges or difficult home situations that require a longer stay in the safe-home. But when a child can successfully return home within three months it’s a double success. If a child can be reunited, it means they’re out of the danger zone. 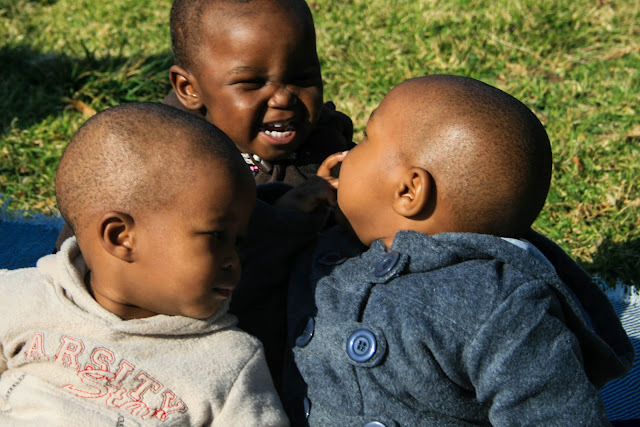 It’s time for the family to resume care with the important added support of TTL’s Outreach workers. 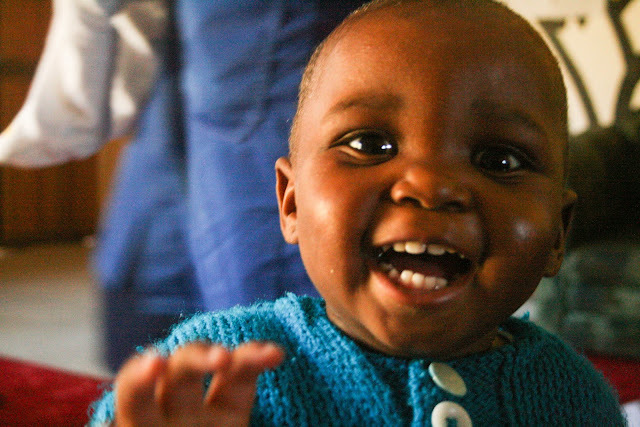 It’s this model that supports long-term health for vulnerable children. 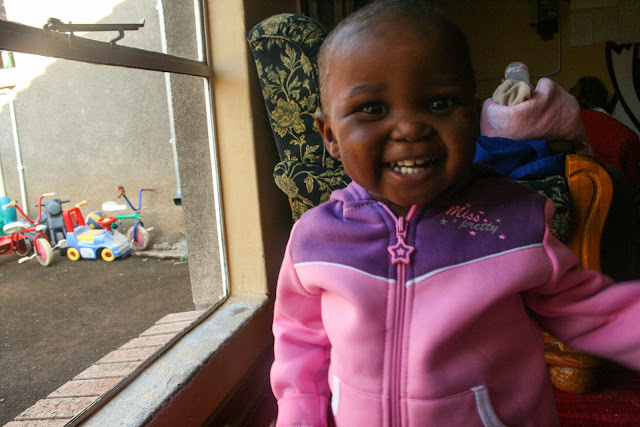 Last Friday, one of TTL’s safe-home babies was able to return home. 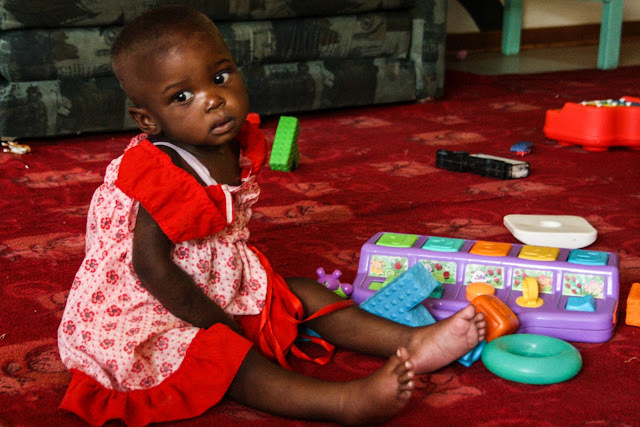 Ntsoareleng spent two months in the safe-home recovering from severe malnutrition. She is a real sweet heart and I already miss her smiling face. When Ntsoareleng first arrived at TTL it was hard to get her to finish a meal. Give her a piece of bread and she would take a few bites and try to hide the rest. Even children understand food insecurity. When you’re not sure when you’re next meal will come, it makes sense to try to make it last. Luckily within a week, Ntsoareleng started to trust that five meals would consistently come every day. She soon recovered her strength and started walking again. It’s thrilling watching a child walk after a period of weakness and immobility. Unlike toddlers taking their first steps, there’s no hesitation. Once they feel like they can manage weight on their legs again, they’re off and running. 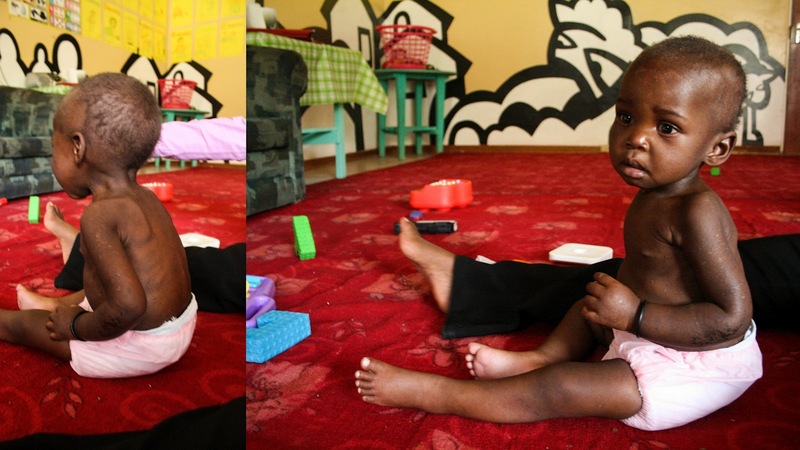 Captured in photographs her two-month recovery is incredible. In reality, it’s the result of some food, a lot of love, and a little time.